Turnitin has informed us that scheduled maintenance will take place on Saturday, 20th of August from 3pm – 7pm GMT. We recommend that you avoid scheduling any submission deadlines to fall during this period. TurnitinUK may be temporarily unavailable to users during that time. This week we are upgrading the version of Turnitin that we use through integration with studentcentral. This is a minor update, but based on testing there are a few improvements to report. This upgrade was confirmed as complete on the morning of Friday, 5th of August, 2016. 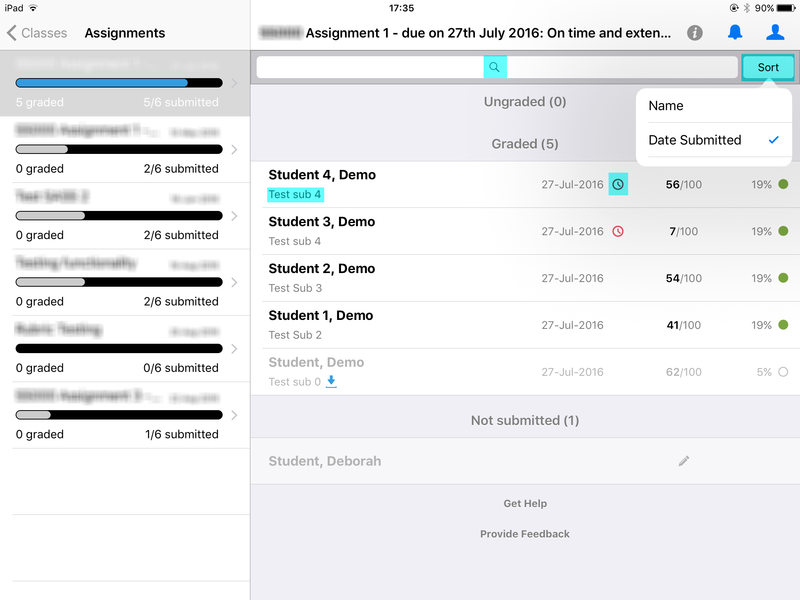 In May it was reported that Turnitin was not automatically making the associated Grade Centre column visible to students on the post date. This was communicated broadly on 23rd May. After in-depth investigation by Turnitin support and myself this issue was later localised to anonymous submission points specifically. Normal submission points were and are revealing the marks and associated column as expected. 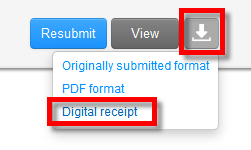 Based on tests of the new version of Turnitin, this issue is now resolved for anonymous submission points. The associated Grade Centre column will become visible within 30mins of the post date passing. 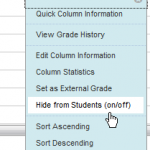 Please note: if manual changes are made to the column visibility then the automatic availability will be overuled and the column will need to be manually made visible to students using the “Hide from Students (on/off)” option. 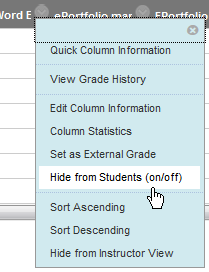 The Turnitin “View Assignments by Group” tool now has the grade column included. This is a tool that is essentially part of studentcentral but interacts/pulls information for the Turnitin submission point and filters it by groups which have been previously setup in studentcentral. The inclusion of the Grade Column has been requested for a while as it will enable markers to keep track of which papers have been marked more easily as there was no indication of this in the prior view. Unfortunately, folks who use anonymous marking who have requested this most will not benefit as the marks are omitted from both the Grade Centre and the “…by Group” tool until the post date has passed in order to maintain anonymity. I will keep asking if improvements can be made to this tool, such as a way to manually indicate which papers in the list have been completed. 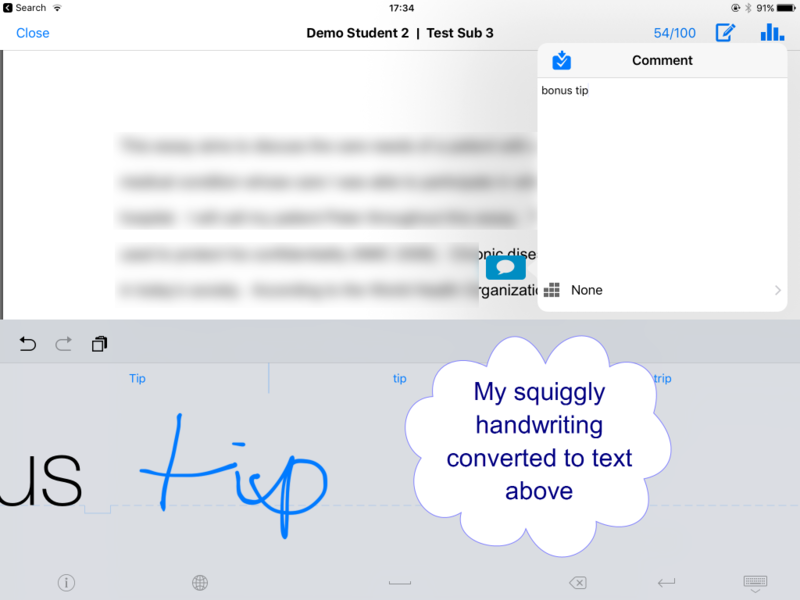 05/08/16 Update: based on testing this issue has been resolved in the Turnitin for iPad app and also the display shown in the class stats display shown in submission points (“hide dropped and deleted” is hiding deleted submission points again). the submission point is a duplicate. *this is known issue that happens occasionally when a submission point is created after being logged-in to studentcentral for more than 1 hour. As there is not a visual indication or warning that a submission point is actually deleted and no longer active within the iPad app, there is a small chance that if a deleted submission point contained submissions that a staff person could mark ‘said’ submissions unawares. If that is the case your marking would not sync through to the module-based submission point as expected. If you have any concerns that this may have happened, please contact me, Fiona MacNeill (Falmer LTA) as it is possible to arrange that deleted submission points are reinstated. I will update this post as soon as this issue is resolved.